"The CAD Times", with 5,000+ subscribers, brings you the latest AutoCAD tips, tricks and articles that can help you become a more efficient CAD user. Find out what you need to get your own home based CAD business office setup. Which CAD software should you use? 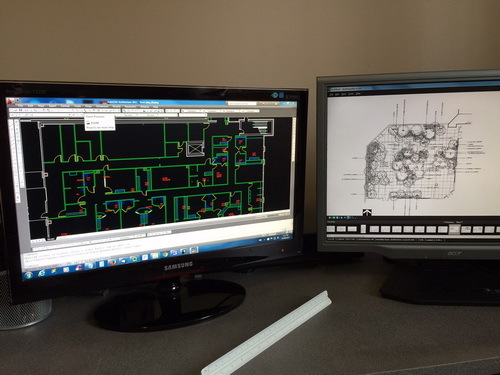 How do you choose a CAD workstation? Which space in your home is best suited to get the job done? Q. The educational version I have plots with the notes on all 4 sides that the drawing was prepared using an education version. Is there any way to turn that off? Click here if you would like to ask a general AutoCAD related question or if you would like to read the entire Q&A section. Feel free to post up your comments if you know any of the answers. We hope you found this newsletter helpful! Did someone forward you this message? Join along with 5,000+ subscribers and Sign up here. Drop us a line anytime to submit your feedback! For information on Advertising in this Newsletter, contact us here. icadtec.com Home : Contact us here. Autodesk and AutoCAD are either registered trademarks or trademarks of Autodesk, Inc., in the USA and/or other countries. All other brand names, product names, or trademarks belong to their respective holders.